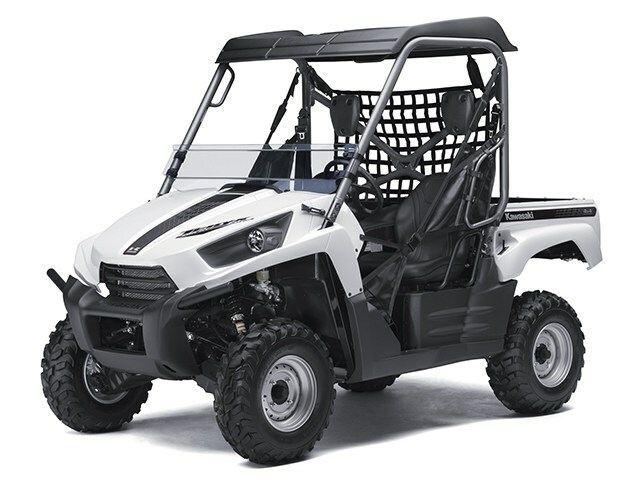 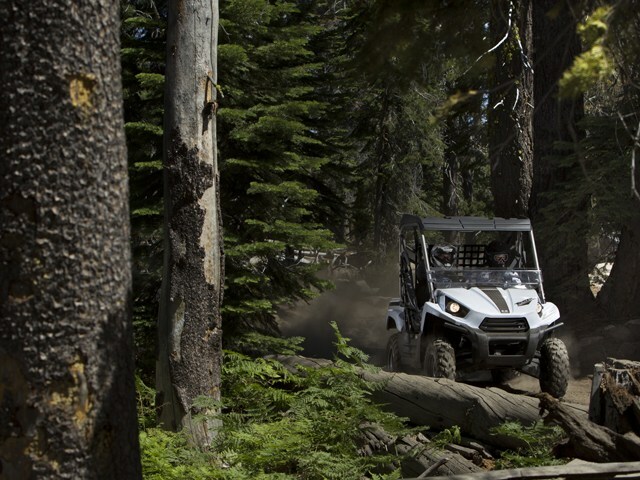 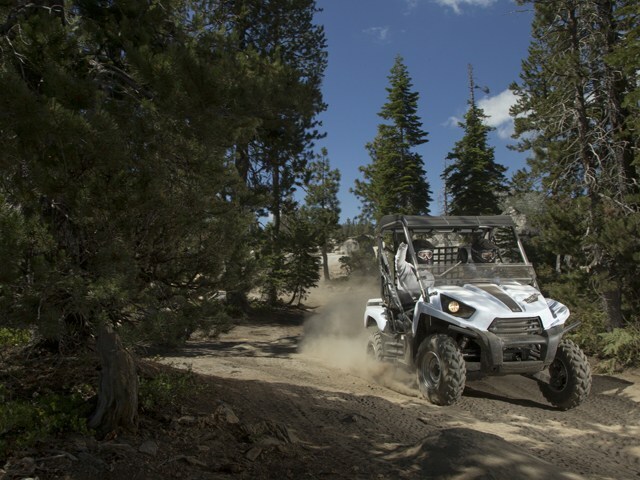 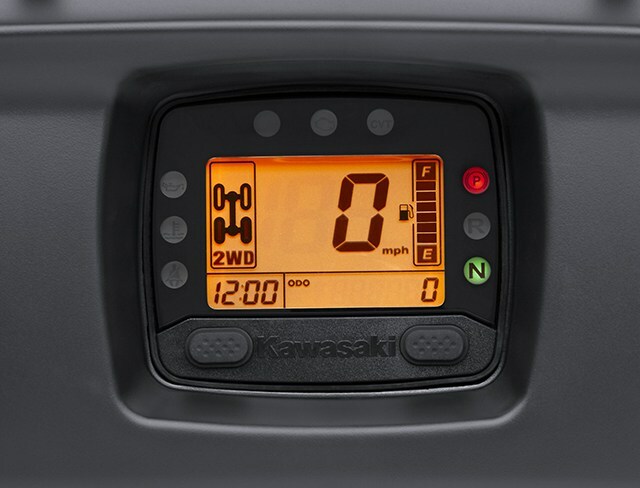 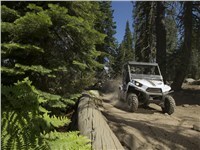 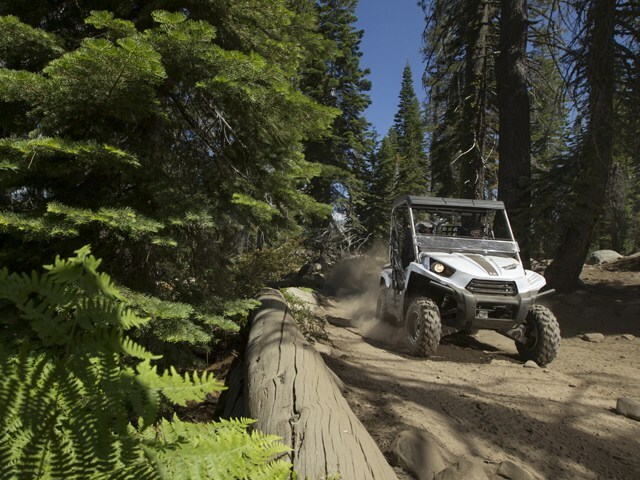 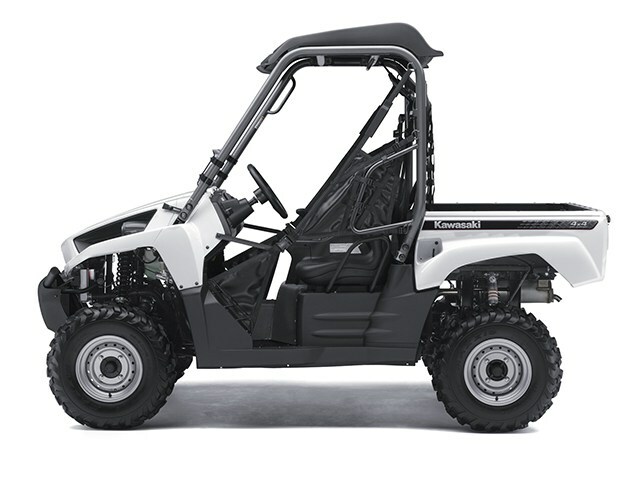 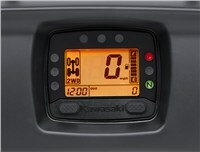 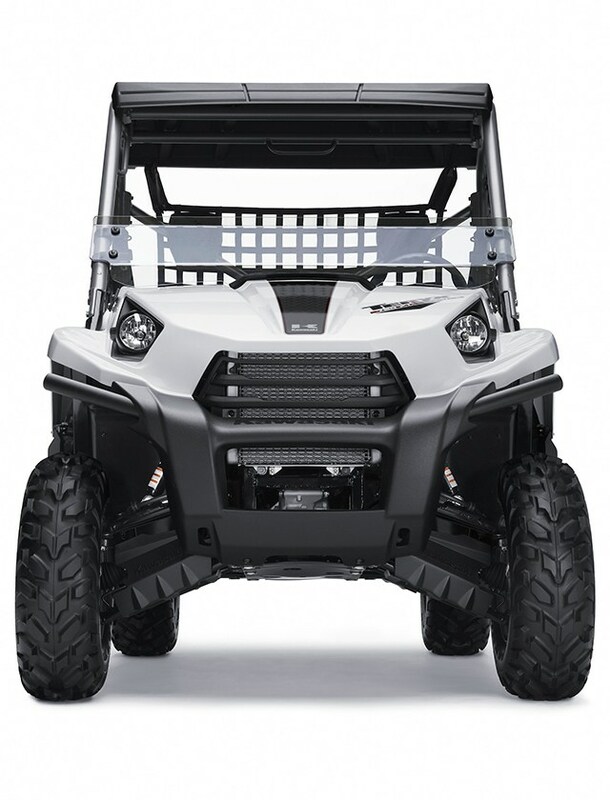 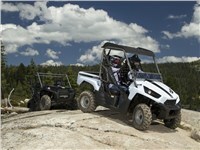 The Kawasaki Teryx™ 750 FI 4x4 LE packages the best off-road features into one stylish and durable side x side. 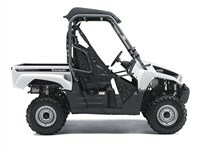 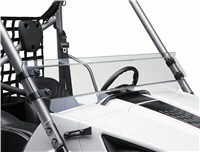 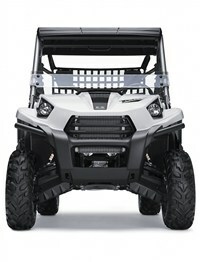 This deluxe Teryx includes a cab roof to help shield occupants from the sun, a deflector windshield to help divert mud, rocks and other trail debris that might splash over the hood, a retractable dual cup holder, and a high quality, automotive-style paint finish that is more scratch resistant than an average side x side’s plastic body panels. High quality, automotive-style Metallic Stardust White paint is more scratch resistant than the plastic on typical side x sides. 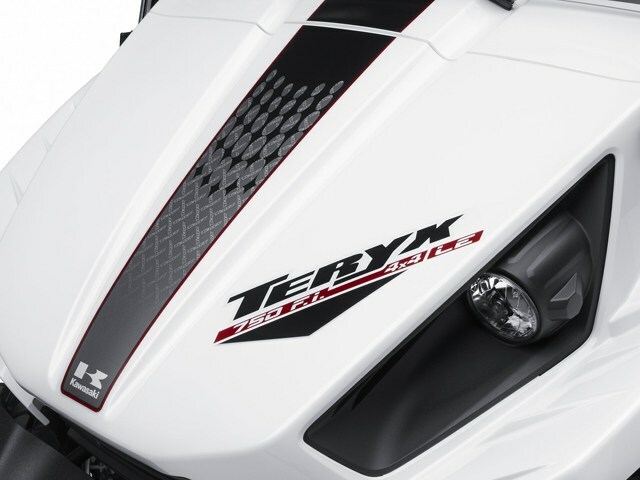 Specific Teryx-sized throttle bodies and optimized ignition timing boost low and mid-range torque as well as promoting excellent response at higher rpm.